Fill a pot approximately ½ litre of water and bring to the boil. Add Mushrooms, miso and ginger and boil for 10-15 minutes. Add oyster mushrooms, spring onion, soy, sesame oil and mirin, cook down to slightly thicken. 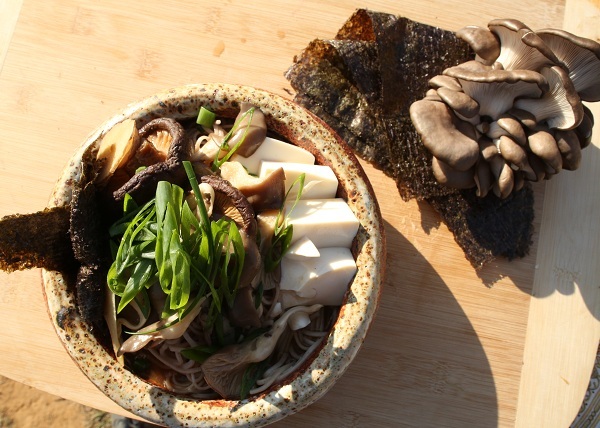 In your serving bowl, place noodles and garnish with tofu and nori. Ladle your soup over the noodles and garnish with remaining spring onions.